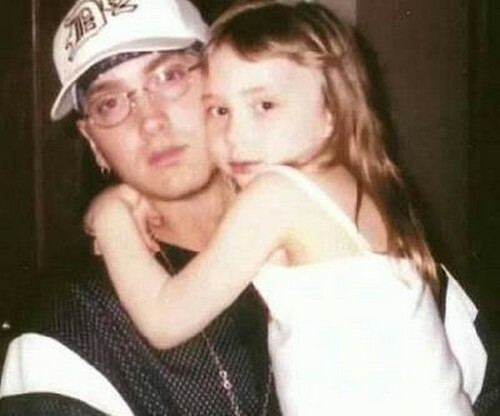 One thing that has always been clear is how much Eminem loves his little girl Hailie. He must be feeling especially proud right now because she was just crowned Homecoming Queen of Chippewa Valley High School. Hailie who is a high school senior has grown into a beautiful young lady. She is also said to be smart and community minded, which is probably why her fellow peers and faulty chose to bestow this honor on her. It seems Eminem has done an excellent job as a father a role that he obviously covets because he also legally adopted Whitney, Kim’s child from a previous relationship, and Kim’s sister’s daughter Alaina. Congratulations to Hailie for receiving such an honor. And congratulations to Eminem for doing such a great job raising her despite the turmoil he has faced, which includes a tumulterous relationship with Hailie’s mother and his ex-wife Kim as well as his own struggles with substance abuse and addiction. Abi Ong has a degree in Communication Arts and has worked as a writer and producer for TV. As a freelance writer, Abi enjoys writing about celebrity and entertainment news. In her spare time, she loves cooking, baking, and playing with her three rescued cats.